Ronzoni Healthy Harvest Pasta – $.09 at Albertsons! 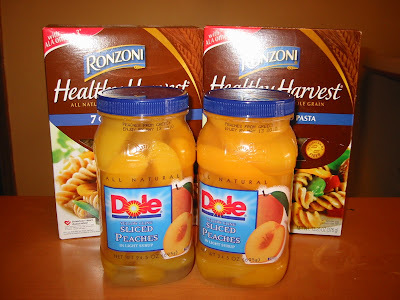 Ronzoni Healthy Harvest is on clearance at some Albertsons stores for $1.09. Pay $.18 for 2 boxes of pasta! I also bought 2 jars of Dole sliced peaches. $2 each wyb 2 -(2) .75/1 coupons from 8/23SS -$2 Albies doubles (the cashier took the full $1 off each!) Total: $.50 for 2 jars of peaches! Oh sorry anon, I should have said mine: 122nd & division. You have two hours to go! If anyone sees the pasta on clearance, do share which stores?